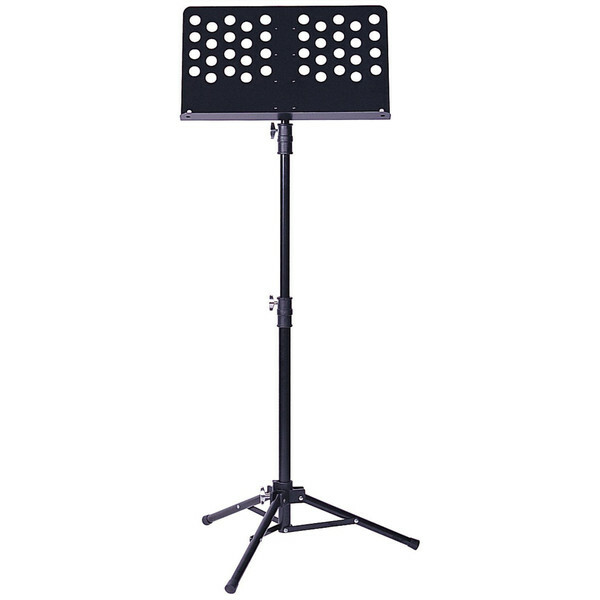 The Kinsman Conductors Music Stand is a good quality orchestral stand that will support your sheet music without blowing in the wind or being unstable like some folding music stands. Great as a lectern stand for presentations too, it is a practical stand that is not only sturdy but also portable being able to be folded for ease of transport. This adjustable stand has a 3 tier tubular metal stem and is height adjustable with collapsable tripod legs and non-slip rubber feet.